Whilst everyone was agonising over Aleppo this week, wondering how you can help the innocents caught up in a war in which you would back neither side, another horror was played out on our TV screens, in this place. 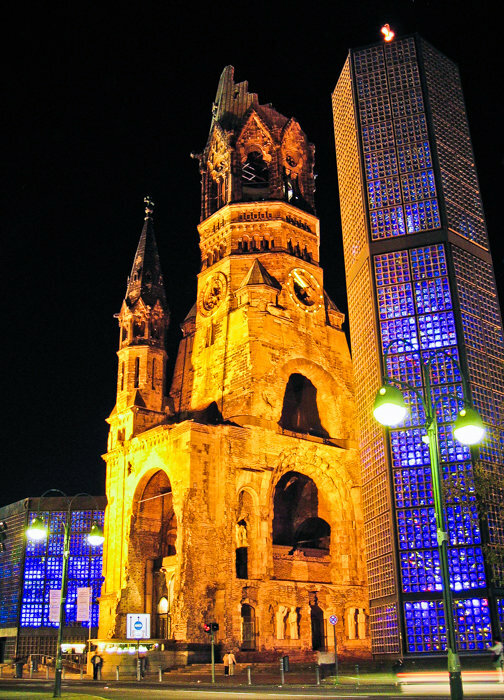 This is a shot I took a few years ago, right where the Christmas Market is held and the attack took place, in the shadow of the Kaiser Wilhelm Memorial Church. I have been to Germany countless times – indeed, I am probably a Deutschophile, if such a thing exists (my German friends are Anglophiles, so why not?) – and within that I have made several trips to Berlin. It is odd indeed to realise that you have stood right on the spot where an atrocity has been committed. As with those people on that night, I'd been there having a good time with a friend. Round the back of these buildings is a precinct with, of all things, an Irish bar housed in the middle. On the night we were there it had a putatively Irish band playing. I was doubtful that anyone but the lead singer was Irish – the muscular blond bloke on drums had a distinctly Teutonic look about him – but that didn’t matter; they made a good old racket and the pub was packed and the atmosphere was upbeat, happy and friendly. It is incongruous now to have that connection: to hold that place as a memory of something that was just a good time and also to know it as a place where such agony and misery have been inflicted. But then, the church itself is a memorial of human wretchedness. It was bombed almost to destruction between 1943 and 1945. The remaining structure, with its iconic sheared-off spire, has been preserved as an anti-war statement. In what remains of the interior, there is a cross made from nails from the old Coventry Cathedral; itself bombed to nothing by planes making the reciprocal journey in the 1940s. I could say something about the symbolism of someone committing mass murder in a place of reconciliation, but that is clearly moot.